Are you passionate about exploring new places to enjoy afternoon tea with all of its wondrous varieties? 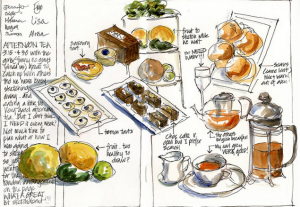 Do you enjoy learning about the famous hotels and places to have afternoon tea? Join us for ‘Afternoon Tea in Mayfair’. This event sold out the last four times we hosted it, so don’t delay and buy your ticket today! This is one of seven fascinating walks in the Tastour series and focuses on afternoon tea, expensive hotels, famous pubs and other foodie hotspots in Mayfair. Time: Meet at 11:30 for 12:00 departure. Some groups allow over 40 people per guide, whereas we limit the group to 15, therefore the meeting point is only sent to paid attendees to ensure the guide can be heard. So why not JOIN as a Bon Vivant Member and receive exclusive invites and special discounts? This Tastour will finish at Sketch. The cost of the afternoon tea is £39 and is not included in the price of this event. 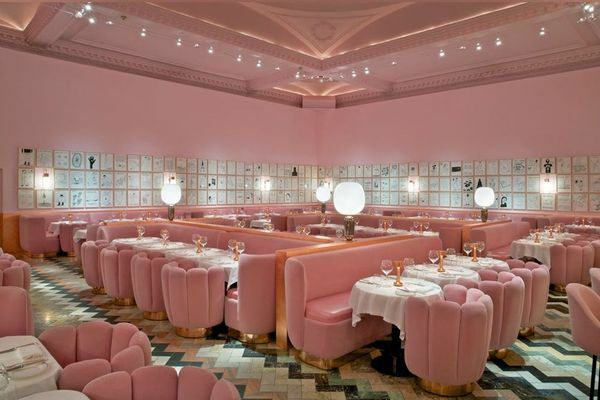 One of the many reasons Sketch is reknowned for it’s afternoon tea is their inspirational redesign of their venue. Every two years they transform their ‘gallery’. When you pay for your walking tour ticket, it will ask you if you would like to come. PLEASE ONLY SAY YES if you are 100% sure, if you say yes, and change your mind on the day, a £45 cancellation fee is payable. Please bring cash and pay the restaurant directly. Members who cancel and do not pay the cancellation fee will be banned from the group until they do so. The venue is subject to change their prices. Please check their website. There are no tasting samples included in this walk, your guide Joanna will be providing current and historical facts on the area and afternoon tea. It’s a great way to learn more about the area and find out a few interesting places you may wish to return to. No refunds will be made if you are late and can’t find the group at the other locations mentioned on my detailed instructions. This entry was posted in Coffee, Events on 13 February, 2014 by adminfw.